Agile Tour Vienna 2017 is growing! Back in May 2011, I was forwarded the Call for Candidate Cities for the Agile Tour 2011 by a colleague. 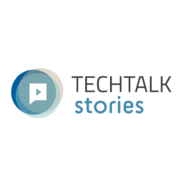 We got in contact with our friends from CSS GmbH and FH Technikum Vienna, asking them to help TechTalk organize the event, and submitted our proposal, which was accepted. 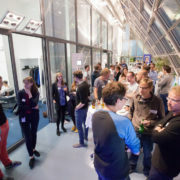 The Agile Tour 2011 in Vienna had over 100 participants; since then, the number of participants has grown to ~240 participants. This is the maximum capacity of the venue provided for free by FH Technikum Vienna. We want the event to continue to be not-for-profit under the worldwide Agile Tour banner, while also allowing more people to join us – the conference is basically sold out by the time we publish the program. This year we’ve decided to take the first step towards expanding the conference. Regarding the first concern, I don’t believe expanding to 400 attendees will have a significant impact on the experience based on similar conferences I have attended. I might be wrong, of course, but I think this is something we need to try out and see how it works. As for the feasibility/financial risk: there seem to be either small to medium software development conferences for 100-500 participants, or larger conferences with 1500 participants or more. This is because of the organizational requirements that kick in once you hit around 500 participants, which only pay off for events with 1500 participants or more. We analyzed our current organizational setup, and concluded that we would be able to scale up to ~400 participants. So right now, the capacity of our venue is the limiting factor. But finding a suitable venue for ~400 participants is a challenge in itself; getting it for free (like we do now) even more so. This means that moving to a larger venue will also mean we’ll need to raise the price. But rather than pluck a price out of thin air, we wanted a price the community finds acceptable. This will help us estimate our available budget for a larger venue in 2018. 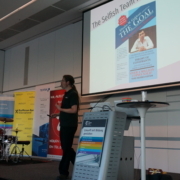 The Combi-Ticket is valid for the Agile Tour Bootcamp as well as for the Agile Tour Vienna 2017. 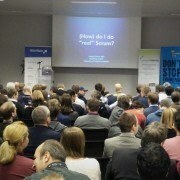 Register now for the Agile Tour Vienna Events. Tickets will be sold on a first-come, first-served basis and there will also be a number of student tickets reserved for a fixed price of EUR 15 (as in previous years). Depending on the income generated by the tickets, we may have a large enough budget to stretch to additional perks such as better food or swag for attendees. This experiment will help us make the right decisions for the Agile Tour 2018, and determine whether we can (and want to) increase the number of participants. 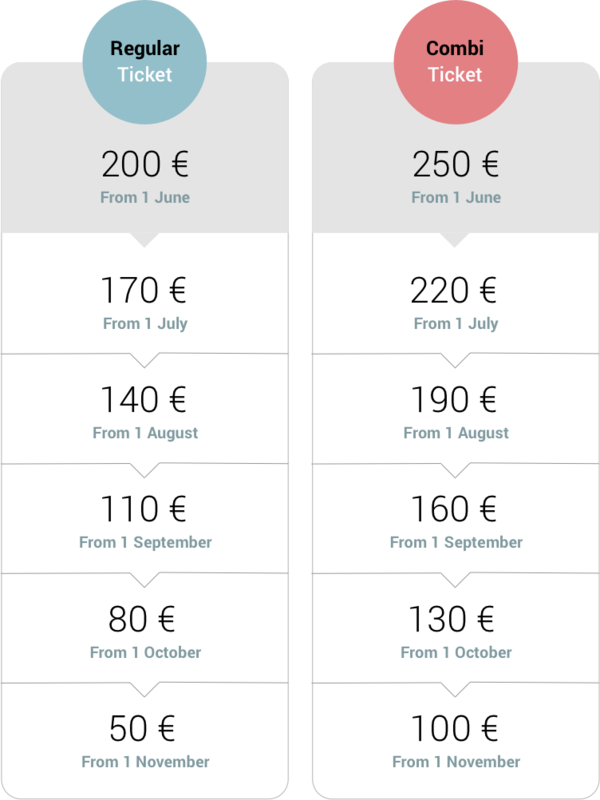 However the new pricing model also means we will need to change how we deal with unused tickets. In the past, we had a waiting list and provided a full refund up to a few days before the tour, reselling unneeded tickets to people on the waiting list. This year we will outsource this mechanism to an established external service, Ticketswap, where attendees can offload unneeded tickets. An additional Bootcamp for newcomers to Agile will also be on offer this year. The Bootcamp will be held in German at FH Technikum Wien on 24 November 2017 (2 pm – 7 pm) by Florian Eckkrammer, Christian Hassa, Rudolf Grötz, Ralph Miarka and Veronika Kotrba. Our Organization Team also shot a short video about Agile Tour Vienna 2017. I look forward to seeing you at the Agile Tour Vienna 2017! https://techtalk.at/wp-content/uploads/2017/05/Logo_AT2017_Logo-1.jpg 380 380 Christian Hassa https://techtalk.at/wp-content/uploads/2015/10/techtalk_logo-300x103.png Christian Hassa2017-05-31 09:55:062018-08-21 15:14:31Agile Tour Vienna 2017 is growing! just wanted to know whetehr the student ticket is valid for the bootcamp too? No, Bootcamp needs a separate ticket..